It’s a stone to help bring you back down to earth. While elixirs sound like mystical potions (and some believe they are! ), crystal elixirs are simply drinking water infused with crystals. And whether you want to add a little magic in your life or delve into the world of crystal healing, elixirs are the place to start. 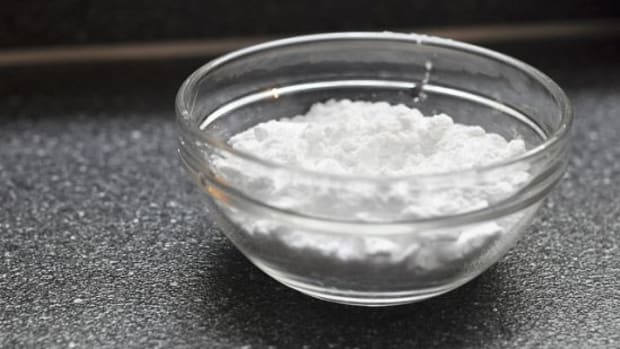 You may picture yourself grinding ingredients with a mortar and pestle or stirring steaming concoctions but, in reality, making a crystal elixir is much less complicated. Simply place crystals in drinking water and you’ve created a crystal elixir. Crystal elixirs go by many names but they refer to the same practice of infusing your water with all the good crystal feels. When creating crystal elixirs, you can either place the stones directly in the water or indirectly infuse the water by keeping them separate. But be careful. Some crystals aren’t safe when added to drinking water. Many stones can corrode, rust, or dissolve in water. And, some contain minerals or radiation that make them unfit for human consumption. “Please do your research when creating your own elixirs,” Schoen says. 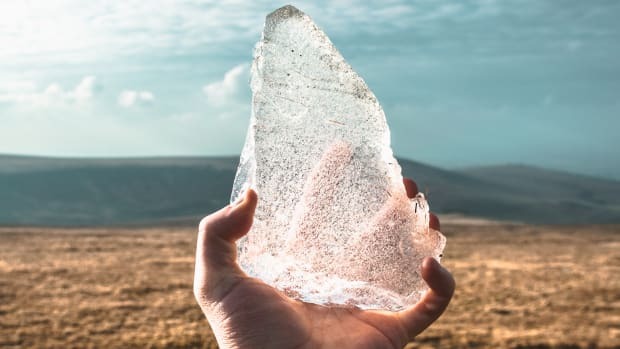 “As a rule of thumb, with perhaps some exceptions, stones that end in -ite tend to dissolve in water and are not safe for drinking water,” she says. To create a crystal elixir without directly touching the crystals to the water, place the crystals in a glass container or cup. 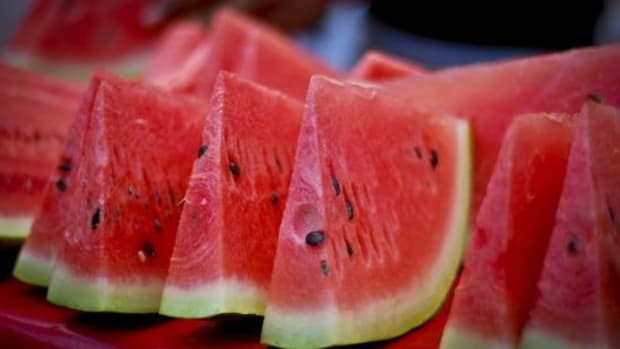 Then, set the container in a bowl of water. 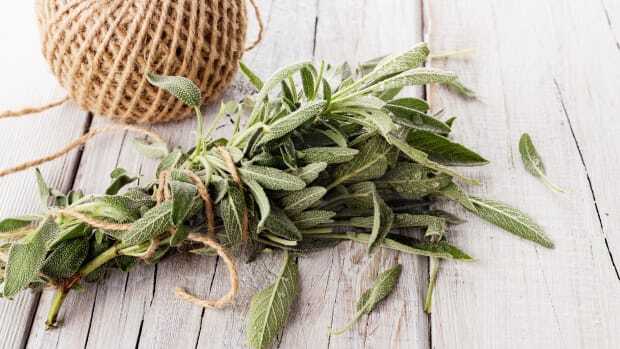 Let it infuse. This is a safe way to charge the water with crystal energy. When making an elixir, Schoen says not to overthink which crystal you ‘need’. And to instead choose the stones that enchant you. What stones are you most drawn to? Which crystals make you feel good? What colors pull you in? What textures and weights appeal to you? Because Glacce uses the direct method to create elixirs, where the stone comes in direct contact with the water, the company only offers a small variety of quartz crystals. All of which are completely safe crystals for elixirs. This soft pink quartz is all about emotion. Drinking a rose quartz elixir can help promote forgiveness and communication. And it can invite love and compassion into your life. “The presence of rose quartz has the ability to make its surrounding environment feel like a completely open and safe space,” the Glacce founders say. Use a rose quartz elixir to let go, forgive yourself and others, and open yourself to healthy love. 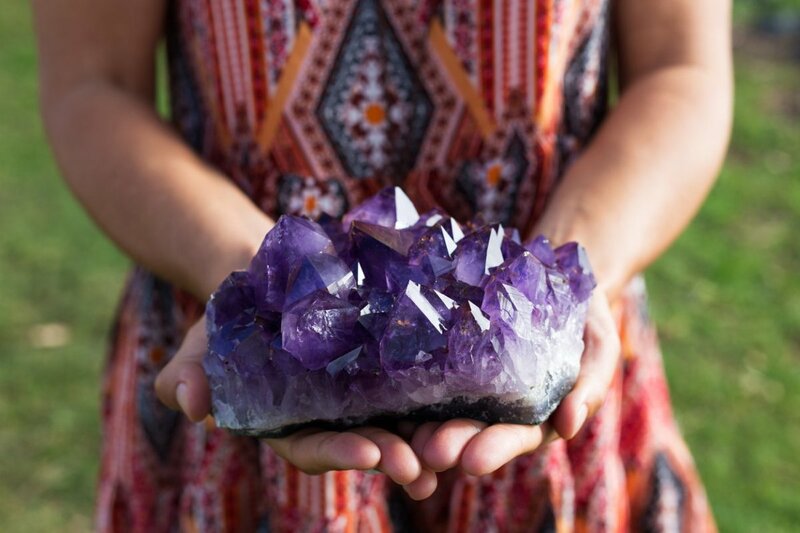 Known as a soothing stone, amethyst can promote calmness, intuition, and creativity. It’s good for mental health. 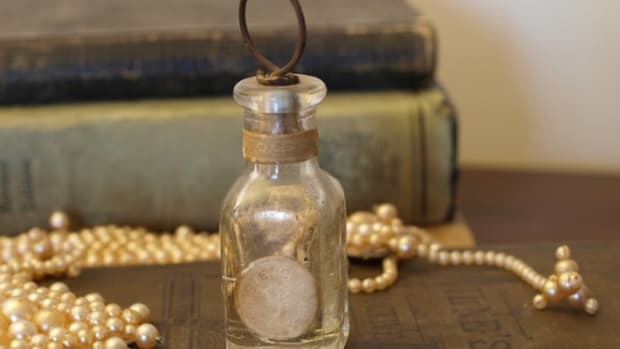 “We recommend drinking this crystal elixir before sleep as a way to easily see your dreams as clear answers to questions or issues in your waking life,” the Glacce founders say. Known for its centering properties, smoky quartz can promote grounding, relaxation, protection, and power. It’s a stone to help bring you back down to earth. “We can get caught up in the race," Schoen says. "This stone reminds me that, like nature, everything will fall into place, gracefully, if we can have the strength to allow it to." This dark crystal doesn’t have dark properties. Instead, black obsidian promotes strength to help you achieve the possibilities out there. This potent stone also encourages the release of negative energy. “I am extremely drawn to black obsidian because this stone reminds me that anything is possible,” Leslie says. It’s full of pure potential just waiting for you to tap into. So, you can draw out the truths needed to create what you want in your life, she says. Besides being perhaps the most gorgeous water bottle you’ll ever sip from, Glacce Crystal Elixir Water Bottles also promote hydration and a plastic-free planet. 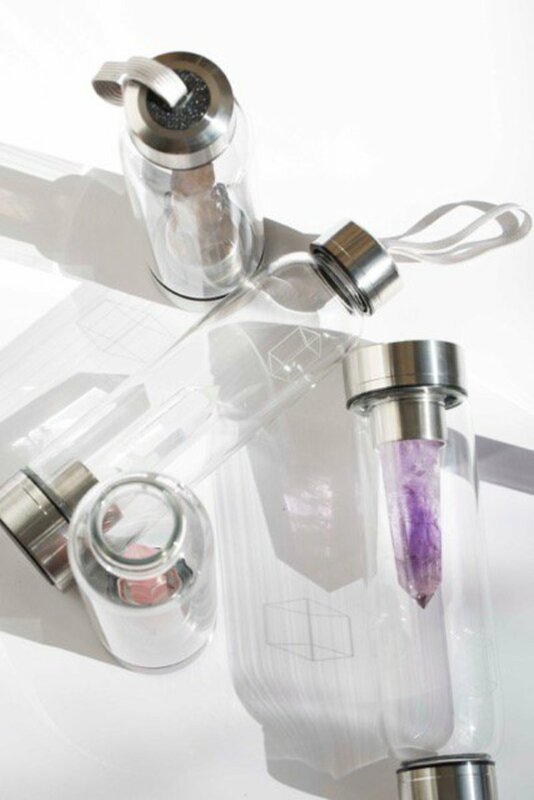 And, the dishwasher-safe glass and non-toxic crystals make infusing your water with healing crystal energy as easy as it gets. 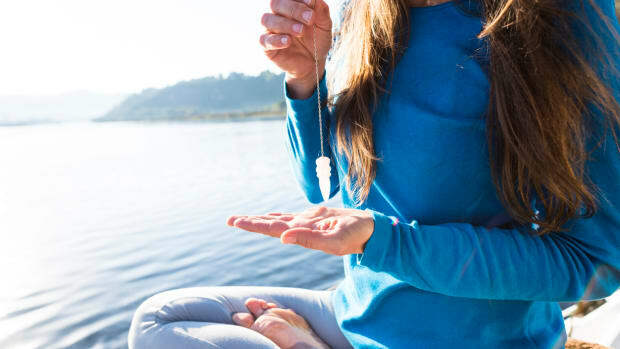 “We believe, above all, your Glacce bottle serves as a beautiful talisman to remind you of your pure intentions to better your life,” Schoen says. Not just a water bottle, it&apos;s meant to use as a meditative tool, too. 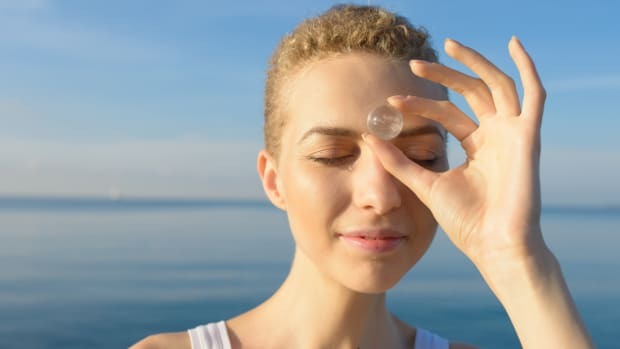 “Because the bottles are fragile (glass and custom cut stone), we have found that you automatically have a heightened sense of mindfulness when handling one,” Schoen says. Whether or not you believe in the healing power of crystals, you can&apos;t deny their ability to bring beauty and intention into your life. 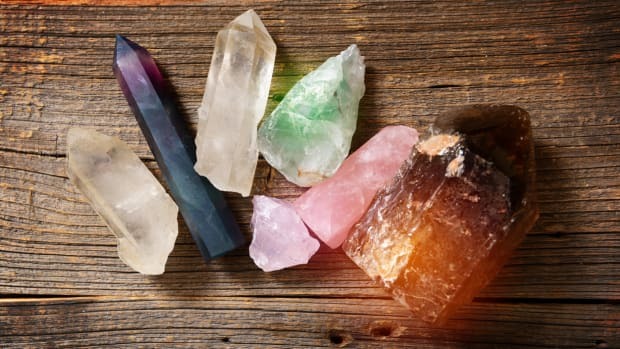 “If it is difficult to grasp the concept of crystal energy, use your crystals as a physical, visual reminder of this personal power we all possess to bring about more positivity in your life and share this positivity with the world around you,” Schoen says.